The last time former WBC heavyweight champ Samuel Peter had a meaningful fight, he was stopped in swift fashion by Kubrat Pulev. Peter returned from that December 2016 corner retirement loss in February of this year, when he stopped little-known 2-21 journeyman Gerardo Escobar in Tijuana, Mexico. Now, having signed a fight deal with Salita Promotions, the 38 year old is set to face a (slightly) better opponent on April 13th in Atlantic City on the Claressa Shields-Christina Hammer card at The Boardwalk. Peter, 37-6(30) will fight another Mexican heavy in the 15-6-1(13) Mario Heredia. Okay, 26 year old Heredia is no top-ranked fighter and the man from Chihuahua is no big man at just 5’10.” Still, it’s a step up from Escobar for Peter. We have no idea how much Peter has left or how much ambition “The Nigerian Nightmare” has retained. In his day, when he was beating excellent and good fighters like James Toney (twice), Jameel McCline and Oleg Maskaev and was battling the Klitschko brothers (twice in the case of Wladimir) Peter was a heavyweight to be reckoned with. 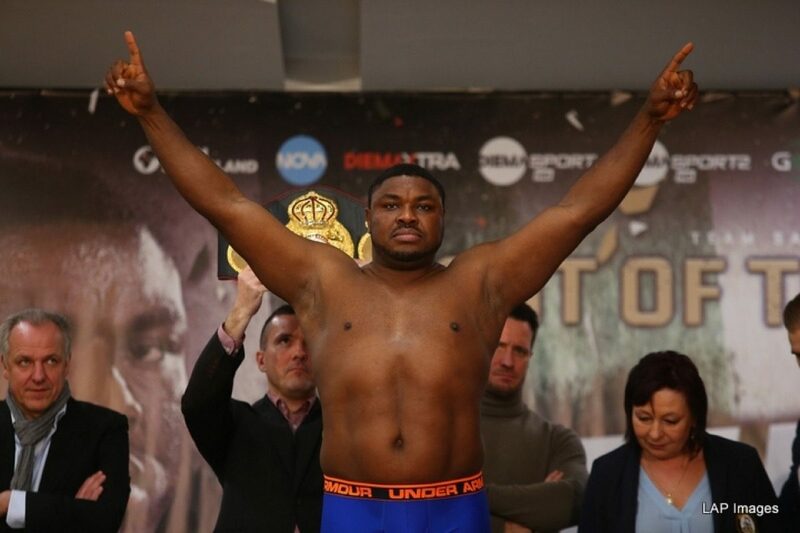 Weight problems proved to be his downfall, and Peter lost to Eddie Chambers and, by nasty KO, Robert Helenius. That was back in 2011 and Peter has not been a relevant fighter since. Can he possibly do anything now at age 38? Peter will always have punching power, and he should be able to beat Heredia, a man who has been stopped some five times, but against anything approaching an elite heavyweight chances are big Peter would be badly beaten. Still, Salita Promotions are willing to invest in Peter, so maybe they see something. There was a time, when he was registering that scary KO over Jeremy Williams, that people really did feel Peter could be the next George Foreman. It’s surely too late for him now though. Does Peter need the money, or is he really hungry for fights again? We might not get any answers from the fight he takes on April 13th.